Description: This unit is used to increase or decrease 12 volt electric motor rpms. Three models are available: 15 amps, 15 amps with reverse switch, and 30 amps. 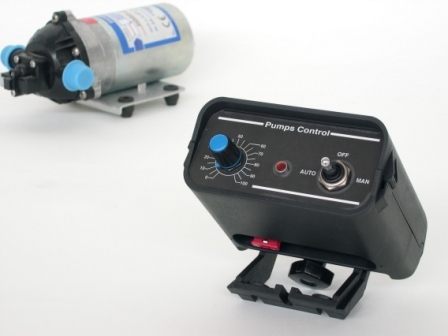 They are ideal for controlling small electric pumps or any other electric motor to a maximum of 30 amps. Click here to request price on this 12 volt Electric Motor Console product. Click here to see instruction manual and parts breakdown.